Well turns out Mr Luke was a very good friend of our current god....odd huh? Well check this he was also a doctor and had "visions".....Turns out he was also a slave and was imprisoned with a man named Christ. Boy I wish people would turn to more then just one odd book found in every place with a cross. Why is it that we had these people back then but now in this century we have no one with these abilities to help, heal and love their fellow men...This article also stated that Jewish men were the only ones circumcised as St Luke states that himself! So why do we take on this tradition?? 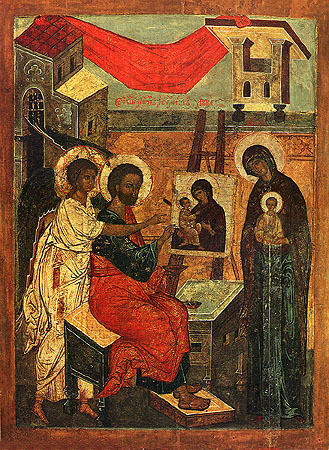 "Since many have undertaken to set down an orderly account of the events that have been fulfilled among us, just as they were handed on to us by those who from the beginning were eyewitnesses and servants of the word, I too decided, after investigating everything carefully from the very first, to write an orderly account for you, most excellent Theophilus" (Luke 1:1-3). Oh Mr Luke are we just one of the same?? Luke's is the gospel of the poor and of social justice. He is the one who tells the story of Lazarus and the Rich Man who ignored him. Luke is the one who uses "Blessed are the poor" instead of "Blessed are the poor in spirit" in the beatitudes. Stay tuned as I am very good at uncovering secrets and research comes natural for me. I've literally found these words carved in stone and how can one argue that? Everything in blue are links, and I encourage those in doubt to sit down and do their homework!